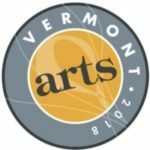 Celebrating its fifth decade of performances, the Musicians from Marlboro touring program was created as an extension of Vermont’s Marlboro Music Festival. Musicians from Marlboro tours are noted not only for their joyous and thoroughly prepared performances but also for offering valuable touring experience to artists at the beginning of their careers and for featuring programs of unusual as well as beloved chamber repertoire. Since their inception, the Musicians from Marlboro tours have introduced such great talents as Yefim Bronfman, Pamela Frank, Richard Goode, Jaime Laredo, Murray Perahia, Paula Robison, Sir András Schiff, Peter Serkin, Richard Stoltzman, Christian Tetzlaff, Benita Valente, and Harold Wright, among others. They have also included other exceptional artists now heard in the Brentano, Chicago, Emerson, Guarneri, Juilliard, Orion, Miami, Muir, Tokyo, St. Lawrence, and Ying Quartets as well as the Beaux Arts, Eroica, Mannes, and Kalichstein-Laredo-Robinson Trios, and the Chamber Music Society of Lincoln Center. Musicians from Marlboro concert series are held each year in Boston, New York, Philadelphia, Greenwich, CT, and Washington, D.C. There are also individual performances in Toronto, Montréal, Brattleboro, VT, and elsewhere. Please see our schedule for a complete list of concerts this season. For information about engaging a Musicians from Marlboro ensemble, please contact us at info@marlboromusic.org.